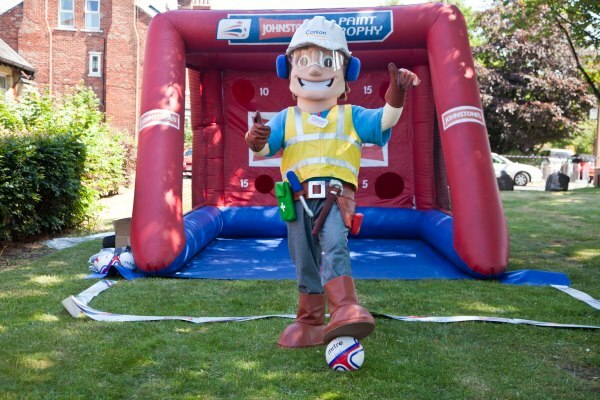 Heyhouses Primary, in Lytham, was treated to a Summer Fair and a visit from our very own Charlie Conlon on Saturday 21st June. We were blessed with good weather for the fair and everyone enjoyed the many stalls and attractions, including hook-a-duck, a bouncy castle, BBQ, football shoot-outs, face-painting and more. Conlon sponsored a stall and donated a prize for the correct or nearest to the number of red facing bricks used in the new school building. The day raised over £4000 for the school which is a fantastic amount.